For those who are looking for originality, look elsewhere. The novel features a mary sue main character, who is literally hated by the world for being so perfect and amazing. So our loner master magician does a favor to a old friend and agrees to teach a platoon of magician girls. The generic challenge the S class waifu girl to a duel with a lowest rank character and then flawlessly winning... So formulaic.... Literally the whole volume I read was the same formula every other Japaneses wankfest novel has. The story is great but still have a lot to improve. First the characters are not very decent with some seriously wrong and unrealistic personality. Next is the plot, although the antagonist plot is nothing new, it's actually very good. The fighting scene is the best part but kinda ruined for a bit cause the characters. 3.5/5 for it, might be 4 thou. This LN needs more attention. Overpowered MC but hides it due to frightening people lol. Romance is pretty slow but it works. Id rate this a 11/10 LN due to how is so different. He gets betrayed by his world yet saves the world. MC isn't a pervert too, which makes this LN even better. A novel that picture the true nature of humans, the best novel that I have ever read. Homura, the Hero that sacrificed everything to save the world is betrayed and used as a dog, yet he still try his best to protect Humanity. The story is well written, the characters have a incredible tridimensional personality. After the apparition of Michael the book changes. Indeed the death of Himura and his "Wrait form" is interesting but the last book is like a race: the apparition of the angel is a complete severing from the other books, according to Vel the world partially entered the demon world but the demons disappear completely and there isn't even a confrontation between angels and demons and when the angels attacked there wasn't even a person that asked where were the angels during the Walpurgis Night (Homura was in a different dimension). To save the world he made a deal with the devil. A Hero who didn't die isn't hero, but a greater monster then he defeated. This is a story of the man who gave up everything friends, family, nationality even his humanity in order withhold his vow. He won't protect them, but simply not let them get hurt like he did. Even if they seek salvation, he won't allow them to die. That's the deal of sorts he made with the devil, the traitor of humanity. My only complaint is that this series had the potential to be longer but because the author was already busy with his previous work he cut it short. It was really entertaining, but was too damn rushed. Sigh such wasted potential. MC is alive but turned to a speck of himself to infiltrate the angel to find the girl and while infiltrating he finds the weaknesses of the angel and at the end finds the girl while emerging out with some epic moments like saving the others sure it's a cliche but hell as long as it shows the epic showdown of MC but no MC is weak now and instead relies on the girls due to his being a wraith. He uses them and they focus together destroying the angel and 'Yay woopie we won' cheers then end... No epic good bye ending where MC pulls all the stops to end the archangel or trys to visit "God" and destroy him. This series could be on the same level as Seven and Overlord, if the writer didn't decide to focus so on Sumika on the last volume, the author even butcher Homura backstory to the point it become a half, A HALF chapter subplot. God that was so turn off. 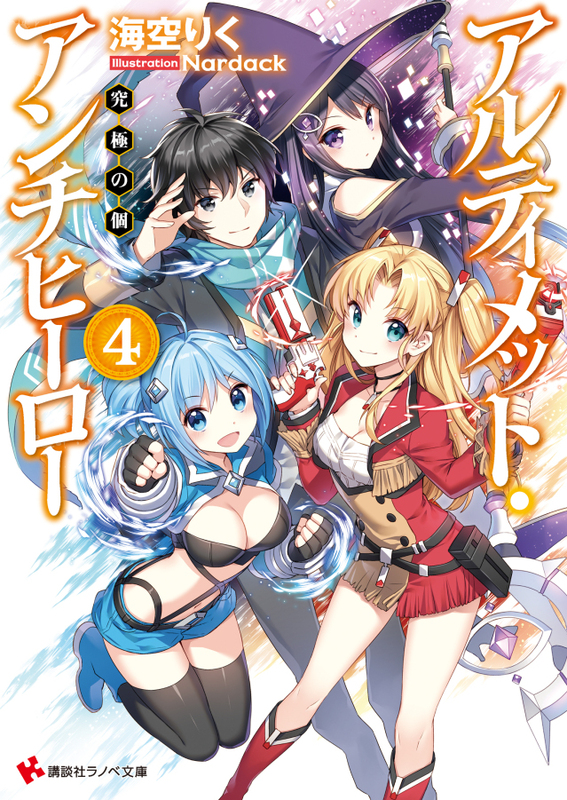 However if you decide to accept the 3/4 of the last volume as non-canon/filler subplot, you will find this LN is amazing, like I said before if it weren't for the stupid last volume, this series could stand with Seven, Overlord ETC. Don't... more>> get me wrong Sumika is a good Characther, if she behave like Shiori and don't chase Homura affection. She could be the best girl alas the moment she decide to "stand side by side" with Homura she become such a cliche character. Its good. Very good. The story about a boy who has the ultimate power (magical stuff), and because of that power, everybody hates and fears him. He doesn't even care though. Interesting.